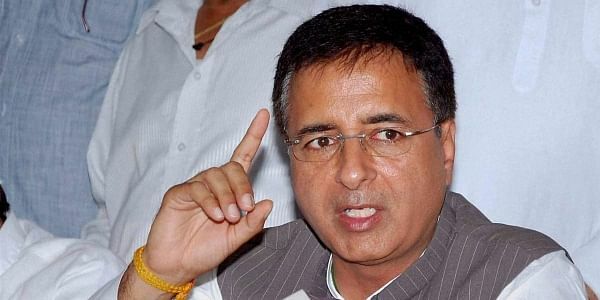 Congress spokesperson Surjewala said Congress' stand on Ayodhya issue has always been clear and that the Ayodhya case will be decided by Supreme Court. AHMEDABAD: The Congress on Tuesday hit back at BJP President Amit Shah over Ayodhya issue in the apex court, saying if a party is sought to be blamed for a lawyer representing a side in a case, then Finance Minister Arun Jaitley should be dismissed for having appeared for Dow Chemicals in the Bhopal gas tragedy case. He was responding to Amit Shah's latching on to lawyer and Congress leader Kapil Sibal's plea for deferring hearing the Ramjanambhoomi dispute case till after the 2019 Lok Sabha elections and asking party Vice President Rahul Gandhi to clear the Congress stand on the Ram temple issue.